Placement cell is functioning at the institute and is headed by a Professor. Information on job opportunities / enquiries on graduates / vacancies in all sectors of fisheries are communicated through group mail. Campus interviews are organized when companies approach for such recruitment. 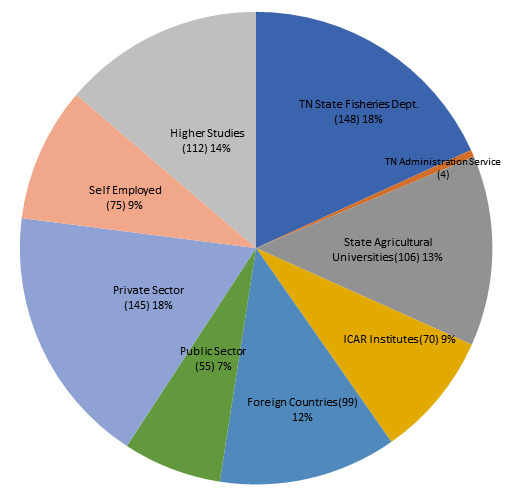 FC&RI has successfully produced 814 undergraduates, 379 post graduates and 42 doctorates since inception. The graduates are well placed as Central and State organization officers, University officers, Private sector employees and Entrepreneurs.